With Hispanics representing more than 10 percent of the state’s population, that group remains significantly underrepresented at the State Capitol. The three Latino lawmakers make up only 2 percent of the 149-member Legislature. No statewide elected officials are Latino, although Dave Lopez was appointed Secretary of State in March. 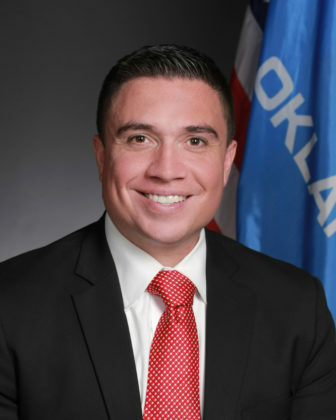 The newest Latino legislators are Sen.-elect Michael Brooks, a Democrat who won a special election in District 44 in south Oklahoma City on July 11, and Rep. Ryan Martinez, a freshman Republican who won in District 39 in Edmond in November. 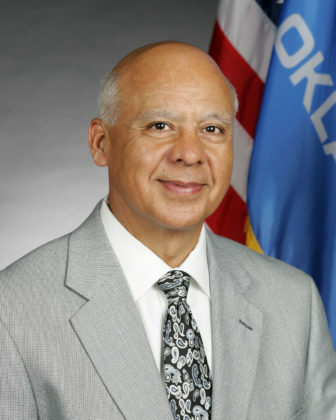 The third Latino lawmaker, Republican Rep. Charles Ortega of Altus, was re-elected last year for his fifth term in District 52 in far southwest Oklahoma. Another legislator, Sen. Anthony Sykes, R-Moore, is the son of a Mexican-American mother, but he has not publicly identified himself as Hispanic. “With Michael Brooks in now, we have some representation, but we are still a long ways off from where we need to be,” said David Castillo, executive director of the Greater Oklahoma City Hispanic Chamber of Commerce. Hispanic underrepresentation in politics isn’t restricted to Oklahoma. The demographic group counts for 17.8 percent of the country’s population, according to 2016 Census Bureau estimates. But Hispanics or Latinos make up just 39, or 7.3 percent, of the 535 seats in Congress, according to a Pew Research Center study earlier this year. The National Hispanic Caucus of State Legislators reports that as of early 2016, Hispanic legislators represented 401, or 9.1 percent, of the 4,383 state legislative seats across the country. Castillo said Latinos’ smaller political representation in Oklahoma is attributable to their being a relatively new community. Brooks’ election is a milestone in the sense that his Senate district is one of the more heavily Latino ones in the state, and as an attorney whose practice includes immigration cases, he is known as an advocate for lower-income, urban Latinos and immigrants. Martinez represents a suburban district that is 4.9 percent Hispanic, and Ortega a largely rural one that is 19.5 percent Hispanic, according to Statistical Atlas, which analyzes block-level data from the Census Bureau. About 28.5 percent of residents in Brooks’ district identify as Hispanic. He replaces Ralph Shortey, who resigned after being charged with engaging in child prostitution and to whom Brooks lost in 2014. Castillo said having more Latino representation in the Legislature means more than just fighting anti-immigration legislation, such as 2007’s House Bill 1804. “We do need more people, first of all, to be in the community to understand the issues of the community,” he said. “Latinos are like everybody else: We care about education, we care about economics and all the same things everyone else does.” More than half of students in Oklahoma City Public Schools are Hispanic. Brooks said his history in south Oklahoma City, where his family has lived for four decades, helped him win in a diverse area. But he said he believes voters saw past race or even party affiliation. “I think people have gone for too long without a voice at the Capitol … and that’s a complaint I heard when I ran in 2014 and even before the (Shortey) scandal,” he said. 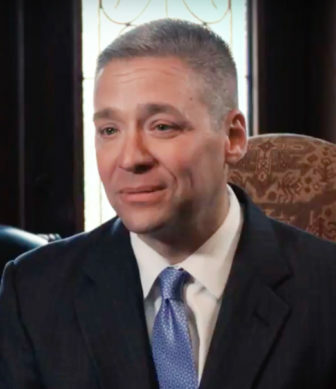 In his 2014 campaign, Brooks went by Brooks-Jimenez, the name he uses for his law firm, and his campaign committee this year also used Brooks-Jimenez. Jimenez was his mother’s maiden name. He was listed on this year’s ballot as “Michael Brooks.” He said going forward he will have “two brands,” continuing to go by Brooks-Jimenez for his legal practice and Brooks for his legislative work.